Sometimes God is full of surprises. Mary helps me remember that I can always respond with total honesty. Surprising One, thank You that being real is one of the hallmarks of our relationship. Truth, thank You for trusting me to fully embody my experience. Think about what God has communicated to you recently. Rather than respond with a mental or word prayer, embody your prayer as a way of sharing your experience with God. The announcement by the angel Gabriel to Mary relating to her pregnancy and Jesus’ birth. 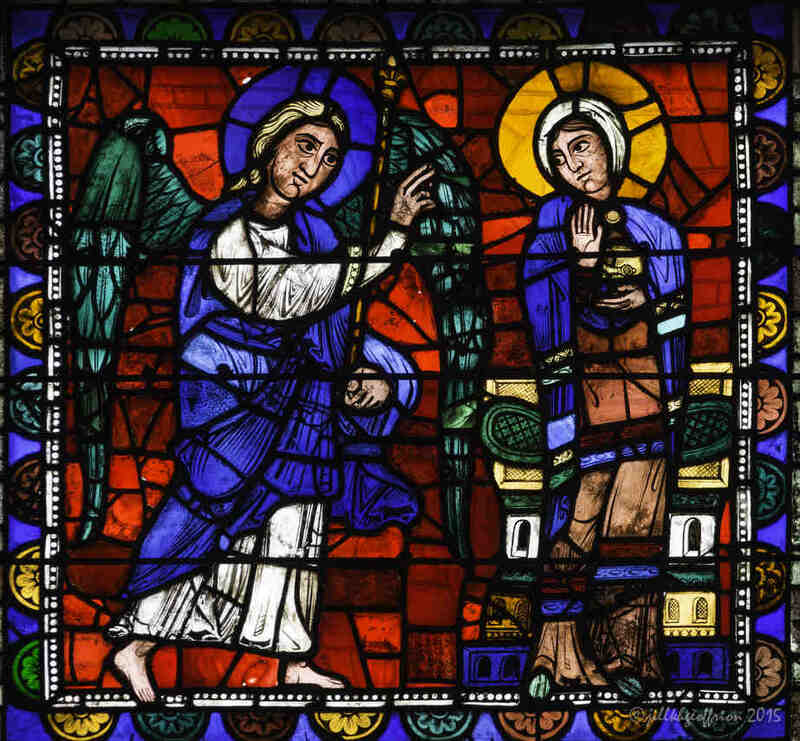 The Life of Christ window in the middle of the west wall directly under the rose of the Chartres Cathedral in France. The window dates from the twelfth century. The Annunciation is visible from all those places in the labyrinth where the walker is facing west. 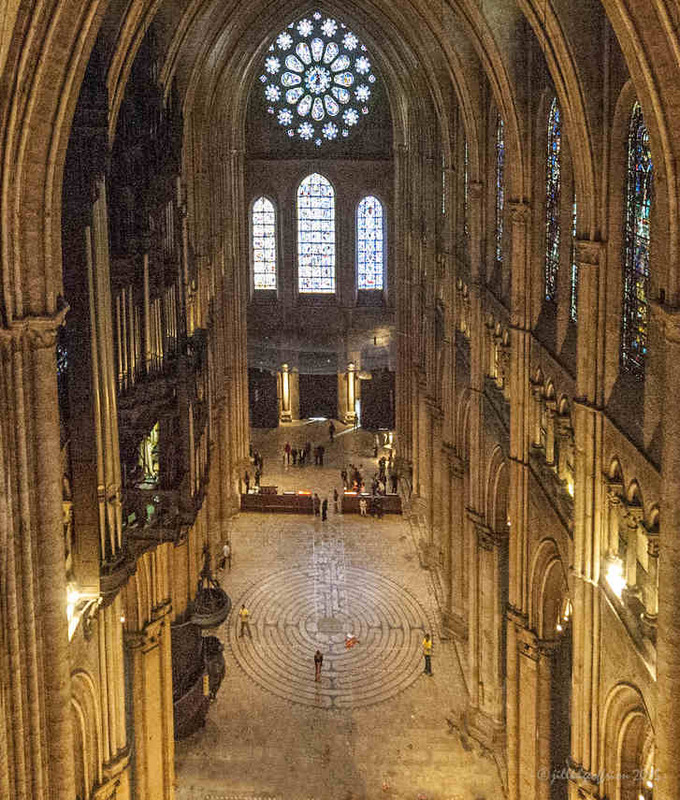 As one leaves the center the labyrinth, and on all the straight sections of the pathway as one returns to the threshold, this window and the Annunciation image in the bottom right corner are fully visible. I love the top picture – it’s so clear, and the colors so beautiful!